Datia: It's not only the geographical and social features that sets the Bundelkhand region apart from the rest of Madhya Pradesh, leaders believe the electoral politics is also much different here with the fight not being limited to the arch-rivals BJP and Congress. Just like its treacherous hill roads, the region is expected to see an interesting poll battle. 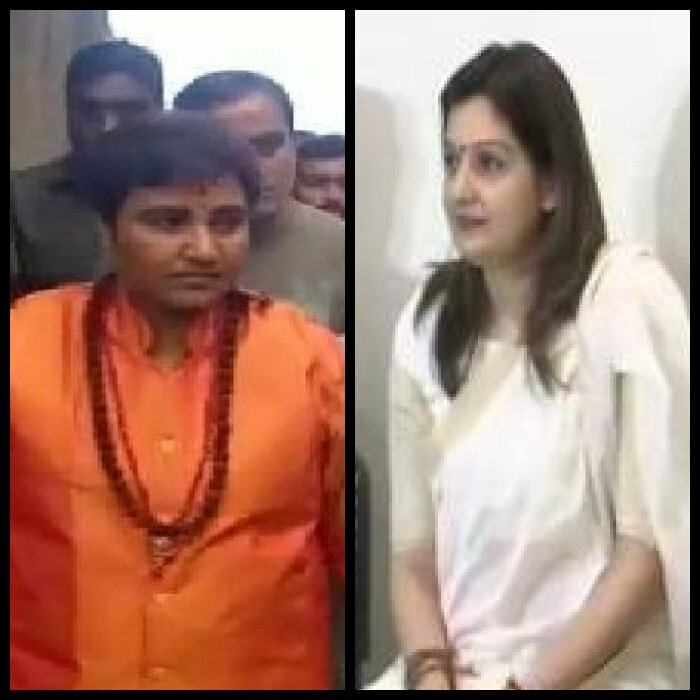 Some leaders claim that non-BJP parties have even resorted to 'friendly fights' on some seats to stop the saffron party from taking advantage of non-consolidation of votes for a joint opposition candidate due to complex caste equations in the area dominated by Dalits and other backward castes. Given the geographical and cultural proximity of over two dozen Assembly seats in this area to the neighbouring Uttar Pradesh, two key political parties with a strong presence in the state across the border — Samajwadi Party and Bahujan Samaj Party — are leaving no stones unturned in challenging the ruling BJP. The four bordering districts of Bundelkhand region — Sagar, Chhatarpur, Tikamgarh and Panna — and two districts of Chambal Zone — Datia and Shivpuri — together send 30 MLAs to the Madhya Pradesh Assembly. Out of this, the BJP has got 22 and the Congress has 8 seats in the outgoing Assembly. As the election campaign heats up for the 28 November elections across 230 Assembly constituencies in Madhya Pradesh, where BJP has been in power for 15 years thwarting every challenge so far from the Congress, the observers feel it may not be a traditional direct fight between these two parties in the areas along the UP border. 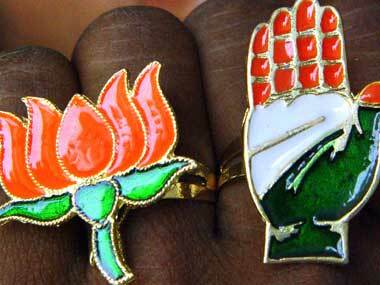 The reasons cited by poll pundits range from caste equations to cultural and social influence of the neighbouring areas from Uttar Pradesh, as also a strong campaign being mounted by the SP and the BSP and what many political leaders call an 'undeclared understanding' these two parties have reached with the Congress to take on the saffron party unitedly without forging a "visible alliance". The opposition leaders insist that the anti-incumbency factor against the 15-year BJP rule is much more prominent in the Bundelkhand region, as compared to the rest of Madhya Pradesh, being far off from the state capital Bhopal. Also, the region has larger dominance of the SC/ST and other backward classes. Datia MLA Narottam Mishra, a prominent minister in the Shivraj Singh government, however rejected the anti-incumbency factor, citing the development work done by the BJP Government. Mishra said the election is going to be rather easy this time, compared to the last three Assembly polls, as "historical development work" has been done by the state government in the Bundelkhand region. He also dismissed any challenge from the 'joint' opposition challenge and said none of these parties would be visible after elections. Mishra said these parties tried a similar strategy in last elections but voters rejected their "gimmicks" and voted for development schemes of the BJP government that helps all sections of the society. He further said people in the neighboring Uttar Pradesh are also praising the developmental work done in Bundelkhand and it is the rejected leaders of the SP and the BSP from Uttar Pradesh who are looking for a political future in Madhya Pradesh through this region. The SP is focussing on all six districts of Bundelkhand in Madhya Pradesh (which include Damoh and Datia also) and the BSP has fielded candidates in the Chambal and Vindhya regions also, along with the Bundelkhand region. The BSP has four MLAs in the outgoing Assembly — two from Satna district in Vindhya area and two from Morena district of Chambal area. The BSP has given ticket to all four sitting MLAs and two former MLAs too. The SP has has fielded a former MLA from Niwari constituency in the Tikamgarh district. The BSP's Bundelkhand in-charge Mukesh Ahirwar said the party is contesting all 230 seats in Madhya Pradesh. He said the party is in a strong position in Bundelkhand therefore a key focus area. The BSP president Mayawati will start poll campaign on 21 November from Morena and will address public rallies over two days in Bundelkhand, Chambal and Vindhya region, Ahirwar said. A senior SP leader said the party's main focus is to defeat the BJP, for which it has an understanding with the Congress and BSP for some seats, asserting a formal alliance was not preferable due to complex caste equations of the area. He said a joint candidate against the BJP on all seats would have actually benefited the saffron party and therefore they have opted for a "friendly fight". Balakram Yadav, a senior leader of Congress party's Bundelkhand unit, said he is confident of a "strategic success" in these elections. He said the over-confidence of the ruling BJP would prove to be detrimental for the saffron party and the people's anger will reflect in their votes. Rejecting the BJP's claims of development works in the region, Yadav said they were limited to a few cities and the farmers are facing a major crisis in the agriculture-dominated rural areas of Bundelkhand region due to drought and fuel price hike while youths are being compelled to migrate because of unemployment.